The principle objective of this report is to analysis Customer Satisfaction of The City Bank Limited. General objectives of this reports are to get an overall idea of banking from banker’s point of view, to review the techniques used by the bank to make it lucrative, an exposure of practices of different banking activities in The City Bank Ltd, relevant rules, regulations, theories and practices for banking and to have a clear concept on departmentalization and the authority entrusted on different officials. Finally this report make swot analysis Customer Satisfaction of The City Bank Limited. An exposure of practices of different banking activities in The City Bank Ltd. Relevant rules, regulations, theories and practices for banking. Determining the drawbacks of the existing level of customer satisfaction. Evaluation of the present performance of the Bank regarding Customer Satisfaction. Recommending some guidelines to improve the effectiveness and effectiveness of customer satisfaction. City Bank is one of the oldest private Commercial Banks operating in Bangladesh. It is a top bank among the oldest five Commercial Banks in the country which started their operations in 1983. The Bank started its journey on 27th March 1983 through opening its first branch at B. B. Avenue Branch in the capital, Dhaka city. It was the visionary entrepreneurship of around 13 local businessmen who braved the immense uncertainties and risks with courage and zeal that made the establishment & forward march of the bank possible. Those sponsor directors commenced the journey with only Taka 3.4 core worth of Capital, which now is a respectable Taka 330.77 core as capital & reserve. The bank currently has 83 online branches spread across the length & breadth of the country that include a full fledged Banking branch. Besides these traditional delivery points, the bank is also very active in the alternative delivery area. It currently has 26 ATMs of its own; and ATM sharing arrangement with a partner bank that has 225 ATMs in place; SMS Banking; Interest Banking and so on. Soon its Customer Call Center is going to start operation. The bank has a plan to end the current year with 50 own ATMs. City Bank, too, recently has started its journey in Retail Banking. “City Retail – add a little city to your life” is the new brand-mantra, the pay-off line for City Retail. Our aim is clear. 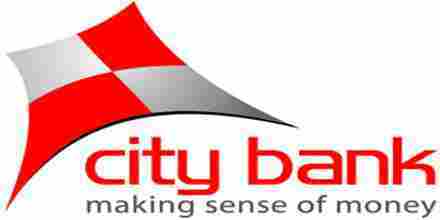 The City Bank Ltd want City Bank to become the most preferred bank to all individual clientele of the country, at least of the cities and towns where the City Bank Ltd operate. The City Bank Ltd wants to provide our customers the best-in-class services, innovative products and financial solutions from smart outlets – all with a big smile that conveys and generates happiness all the way! City Shomridhdhi is an exceptional DPS product that is distinctly more attractive than the prevalent DPS products in the market. You receive a hefty sum at the end of the term against your monthly deposit of small installments. It’s a perfect way to secure your financial future! City Projonmo is a unique monthly deposit scheme that you open for your kids to safeguard their future against all uncertainties and risks. As a guardian of the child you can open this account which builds great & unmatchable savings for you over the years. By the time your child is past his or her school age, there is this sufficient cash in your hand to take care of his / herhigher education, marriage or other such large expenses. City Ichchapuron allows you to earn interest and enjoy interest every month that accrues in your fixed deposit account, no matter what the term of the deposit is. It helps make your financial planning more disciplined, and your life more organized. While your fixed deposit remains untouched and well-kept for future, you keep on getting the profit on a monthly basis. What better way to take care of your monthly recurring expenses like children’s education or school fees, house tutor’s remuneration, utility bill payments, saving money in some DPS scheme? City Drive is a tailor made Auto Loan facility. City Solution is life-style loan including vacation, education, wedding, house renovation and medical financing. City Bank currently has 9,000 Debit Cards and 8,000 Credit Cards including dual currency cards first of its kind in circulation. 50 new ATMs are projected to be launched in 2008-09 to facilitate reach and convenience and thereby help to increase its customer base significantly. Already 11 ATMs are in operation and City Bank’s customers can use Dutch Bangla Bank’s large ATM Fleet. City Bank offers a wide variety of deposit products to meet your financial needs. From current and savings accounts to Fixed Deposits and Pension Schemes each account is designed to give you the best value for your money. Please take a closer look at all the deposit products of City Bank has to offer and then visit any of our branches close to your location. Minimum 6 loan EMI repayment with existing bank. A minimum take over loan amount is Tk. 100,000 and maximum Tk. 950,000. No extra cost for loan takeover. No processing fee for additional loan. 1% reduced from City Solution interest rate. CITY Visa Electron Debit Card – By your side, round the clock.Now comes the Visa Debit Card from City Bank. Your life, therefore, becomes hassle-free and safe; and it is Visa Electron branded, which makes you the proud owner of a meaningful plastic. City Bank is the first bank to issue Dual Currency Credit Card in Bangladesh. This card enables you simultaneous usage of your card both in home and in abroad. You do not need to carry two different cards for the same purpose. City Bank is a major player in Bangladesh wholesale banking industry to offer the full scope of innovative, customized solutions and services. The City Bank Ltd offers service at the highest level. Our focus is not on short-term profit, but on building long-term relationships and standing by our clients whenever they need us. The City Bank Ltd has a unique business focus on enabling project financing, trade, investment and supply chain financing for clients. The City Bank Ltd aims to be a one-stop gateway for corporate and financial institutions looking to extend their business. And the City Bank Ltd are committed to using our country wide network to facilitate our clients’ growing trade and investment flows and supply chain financing needs across our business footprint. The Corporate & Investment Relationship teams have taken the blue chip customers like Grameen Phone, Epylion Group, Banglalink, Ericsson, Meghna Group, Esquire Group, and Nandan etc. Structured Finance team has recently closed a Tk. 1100 million preference share transaction for Khulna Power Company Ltd. As mandated facilitator and agent. The City Bank Ltd focuses exclusively on corporate and institutional clients domiciled or conducting business in our footprint, offering clients access to our extensive branch network and award winning suite of state of the art services. It fully understands the importance of time, convenience and efficiency to the success of your business. The City Bank Ltd makes easy the complex financial world for you and helps you maximize every opportunity. SME Banking of City Bank is assuming a new and modern dimension. It is entering in to a wider horizon. The philosophy of extending banking services to SME’s of the country is to meaningfully push every one of them up to the next level of respective business operations. The upward push would be meaningful as they would be business wise competitive for a sustainable future. It is therefore would be turning in to an abode of SME’s to grow to the next level. Hence, the bank has named it City Business – for taking SME’s to the next level. For the first time in the history of City Bank, SME Banking business processes are going to be driven thru a centralized platform model. This is a fundamental move away from a 25 years legacy system of decentralized geography based branch banking model. The City Bank Ltd knows this transformation process and momentum is already in place. This would be completed by 2008 City Bank provides several customized SME Banking products namely City Muldhan, City Sheba, City Shulov, and City Munafa. SME asset size went up to BDT 4930 in 2007 and the number of borrowers in SME was 2825. The City Bank Ltd is operating into private Commercial Banking 2 decades. It is a top bank among the oldest five Commercial Banks in the country, which started their operations in 1983. The financial observation of the Bank will depict its various performance related parameter to review the financial and management strength. Customer service is the set of process that a business undertakes during its interaction with its customers. It can also refer to a specific person or desk which is set up to provide general assistance to customers. Evaluate on a regular basis to train and adapt your strategy to your progressive experience. It is the satisfaction of customers in terms of how they are satisfied with the politeness, knowledge and promptness of employees in handling busy customers. It also takes into consideration the perception of the customers as to whether the product or service is worth what they are paying for it. Customers of The City Bank Limited have a good perception about the quality of service provided by them. From our survey we found that customers are satisfied with the overall service of CBL. All the offers provided by CBL are very beneficial for the customers. But in case of service benefit is not the alone factor that determines the level of satisfaction. There are many other things that take control over the overall satisfaction. For instance, service having attractive offers may fail only because of rude behavior or carelessness of the provider. So it is very important to ensure other factors that are related with the success of the service. There are five major factors identified by the experts that are essential to assure the quality of better service that will lift the level of efficiency. They are reliability, responsiveness, assurance, empathy and tangibles. These five factors determine the quality of interaction between customer and provider, the quality of: Physical environment quality and out come quality of the service which leads the overall service to the position of excellence of quality. From our survey we found that how these factors affect their satisfaction level. It means ability to perform the promised service accurately. In case of banking reliability is very important. Because if the client pretends that the company is not able to continue its service proper in the future they will not interested to banking with PBL. From our survey we see that most of the customers choose CBL because they think it is reliable compare to others in case of providing various unique features (Bangladesh international). On the whole customers have a perception that CBL is capable to provide all the services they offered. It is another vital factor that controls customers’ perception about quality of service. It means willingness of the employees to help the customers. According to the perception of customers responsiveness is very important to increase the quality of the service. Even the customers ranked the importance of responsiveness in banking 7 out of 9. If employees do not response immediately to the need of the customers, valuable time of the customers will be spent unnecessarily. Even the customer may become frustrated whether he will get the service or not. The customers of CBL replied that CBL responses promptly. It means the knowledge and ability of the employees to develop trust in the mind of the clients about the completion of the task properly and on time. Customers have a great perception about CBL that they perform according to their promise. Assurance has a great impact on the quality of the service because if promises are not kept customers may switch to other bank. To ensure better service it is very important for the employees to have empathy. Empathy means giving individual attention and taking extra care of the customer. CBL has young and energetic employees that interact with customers nicely and they continuously ask about their satisfaction and dissatisfaction of every individual. Tangibles are very important factor because it directs the customer mind about the quality of the service. Tangibles are physical facilities, equipment etc used in the context of service company. Interior decoration, sitting arrangements, temperature of the room, cleanness odor everything controls the perception of customers about the quality of the service. CBL has confirmed well interior decoration in all there branches and they try keep the standard of there services cape same all over the world. They use all the elements used in there company like chairs, carpet etc imported from Hong Kong and all of them are same for all branches. Both manufacturing and service oriented business organizations start to possess some weakness as time elapse. The weaknesses of an organization can be turned into opportunities if recognized on time. Moreover, overlooking any threat may result in loosing valuable business opportunities. For this reason, an assessment of every business organization is required to judge the performance from the aspects of its Strength, Weaknesses, Opportunities and Threat (SWOT). Superior Service Quality: CBL provides excellent and consistent quality service in each and every sector of its operations to the customers. It makes the customers satisfied. Top Management: The top management of CBL is very experienced and well-known in the Banking sector of Bangladesh. They are contributing heavily towards the growth and development of the Bank. Experienced bankers and corporate personnel have formed the management. Company Reputation: CBL has already created a good reputation in the Banking Industry of Bangladesh. Modern Facilities and Computer: From the very beginning, CBL tries to furnish its work surrounding with modern equipment and furnitures. For speedy service to the customer, CBL already installed money-counting machine in the teller counter. The bank has computerized banking operation under software called ‘PC Bank’. Moreover, computer printed statements are available to internal use and occasionally for the customers. Interactive Corporate Culture: The Corporate Culture of CBL is much more interactive compare to other local organizations. This interactive environment encourages the employee to work attentively. Customer Satisfaction: Customer Satisfaction level of CBL is quite good. Informal conversation with customers about the service quality helps the management to provide services according to their choice which makes customers satisfied. Good Number of Branches: CBL already has 83 online branches all over Bangladesh to provide quality service to every level of customer. ATM Service: Some services of the bank are automated which attract large number of clients. For instance, the bank provides Automated Teller Machine (ATM) services in several locations. Online Banking: The bank recently introduced online banking which enabled it to automate all of its operations. At present, several banking functions are performed by computers. Limited Workforce: CBL, Mouchak Branch has limited workforce. There is shortage of people. As a result, many of the employees are burdened with extra workloads and work late hours without any overtime facilities. This might cause high employee turnover which is not good for the organization. Lengthy Loan Granting Process: The credit sanction and disbursement procedure is quite lengthy, because the loan granting process of the Mouchak Branch of CBL is very strict that sometimes effects negatively on customer’s mind. Centralized Authority: Delegation of authority is centralized which makes the employee to realize less responsibility. Thus, the employee morale is deteriorated. Lengthy Evaluation Process: The credit proposal evaluation process is lengthy. Therefore, sometimes valuable clients are lost and the bank becomes unable to meet targets. Less Use of Annual Confidential Report: No substantive use of Annual Confidential Report (performance evaluation form of the employee) to reward or to punish the employee. Hence the employee becomes ineffective. Less Promotional Initiative: The bank lacks aggressive advertising and promotional activities to get a broad geographical coverage. Few ATM Booths: The bank has only a few ATM booths and not in proper places. So, the scope of using ATM card is limited. Support from Bangladesh Bank: Bangladesh Bank has rendered its full support to the Banking sector for a sound financial status of the country as a representative of Government, as it has become one of the vital sources of employment in the country now. Such government concern will facilitate and support the long-term vision of CBL. Diversified Investment Opportunity: There is a great opportunity to take new dimension of Banking such as Specialized Banking and also there are many sectors where CBL can give special privileges. Evolution of E-Banking: Emergence of E-Banking will open more scope for CBL to reach the clients not only in Bangladesh but also in the Global Banking Arena. Although the Bank has already entered the world of E-Banking but yet to provide full electronic Banking facilities to its customer. Innovative Products: The bank can introduce more innovative and modern products and services for their customers. Micro Credit: The bank can offer micro credit business for individuals and small businesses. Diversified Portfolio: It can diversity its portfolio by taking new sector. New Branches in Remote Areas: Many branches can be opened to reach the bank’s services to the remote areas. Efficient Recruitment: It can recruit more efficient and experienced persons to give fast and efficient service to the customers. Contemporary Banks: The Contemporary Banks like, Dhaka Bank, Dutch Bangla Bank, Mutual Trust Bank are its major rivals. They are carrying out aggressive campaign to attract lucrative clients as well as big time depositors. The CBL should remain vigilant about the steps taken by these Banks, as these will in turn affect the Bank strategies. Multinational Banks: Due to the booming energy sector, more foreign Banks are expected to operate in Bangladesh. Multinational as well as the fast growing local banks with modern products and services are capturing huge market within short period a resulting to switch over the existing customers of the bank. Restriction from Bangladesh Bank: Bangladesh Bank exercises strict control over all Banking activities. Sometimes the restrictions imposed by Bangladesh Bank, can create barrier in the normal operations and policies of the Bank. After getting all the data from the clients I have analyzed through the SPSS software using different statistical tools to find out the efficiency level of the bank branch. Mainly I have used the popular tools for measuring satisfaction of the customer, which measure customer satisfaction is standard deviation, frequency analysis, cross tabulation. The transformation of raw data into a form that will make them easy to understand and interpret; rearranging ordering, and manipulating data to generate descriptive information. Though there are five options for this question respondents were selected three answers. Those are highly satisfied, satisfied and moderate. Mean 2.20 indicates that more than half number of respondents (31) select satisfied answer. They neither highly satisfied nor moderate satisfied regarding CBLs’ service of giving statement. Standard deviation is .601 which means the distance of the respondent answer is not that much far from one respondent to another respondent. Here respondents were also selected three options among five. Mean 2.04 indicates that most of the respondent (33) goes for satisfied option. There percentage is 64.7. All the respondents’ have selected 3 to number 5 option means average, good and excellent option. More than half number of respondents (28) gave their opinion good regarding current service level of CBL. Mean 3.98 almost 4 indicates the answer is neither average nor excellent and standard deviation .678 means respondents answer was not far distance from each other. Mean 1.84 is around 2. It means maximum number of respondents (cash – 23, General banking – 18) answered first two options. Their total number is 41 out of 51. Standard deviation .987 proves it perfectly. It indicates the answer from respondents were so close with each other. The finding is based samples. Among the 51 respondents in different account most of the clients are from saving account (41.2%). The majority numbers of clients (62.7%) get information about CBL from family or friends. Rests of all (37.2%) get information from advertisement, job/ Colleagues and others. Nearest to home is the first choice of the clients (49%) to select this Mouchak branch of CBL. Out of 12 respondents from money gram only 3 like money gram section though they have more relation with money gram. The manager/officer(s) has to have a clear knowledge on how the business is doing in the companies who are the customers of Retail Banking Service. Credit Scoring Model should be updated after every one year interval. Interdepartmental conflict should be resolved and communication with other department should be increased. Regular training facilities for the managers have to be maintained in order to possess a competent management team. For faster lending process, The City Bank Ltd should facilitate online loan application submission and personal credit processing. Finally, the City Bank should create and nurture a strong brand appeal to make market differentiation and acclaim highest clients’ satisfaction. CBL has started its banking activities much earlier comparing to the other banks and due to that it has gained a lot of banking experience which has been proved very worthy for them. But that is a part of their job because our countries economic condition is yet to progress a lot. Time to time they are offering different attractive packages of program for customer like different types of account such as Current Deposit Account, Savings Accounting and Fixed Deposit Account etc from the given charts and tables we can see the various range of their deposits and other offers which remains on changing time to time. They also have adequate planning for compensation in various sectors like-they have a wide range of bonus- branch bonus, sales bonus as the percentage of individual performance etc. They also have some special incentives for specified performance which is really encouraging for the employees. But at the same time they have some drawbacks like- they do focus mainly on financial incentives and benefits and not on non-financial ones. But it is not wise on their part. So they need to consider the non-financial incentives a little bit seriously for the customers as well as for the employees also. They also need to increase the range of attractive offers with the increasing business. Another thing is, according to my perception, they require a much prompt guideline to operate their activities. To summarize the whole situation, I would like to say that, this organization is giving a wonderful service to the people in general and of course for Army person of our country and at the same time they are also trying to educate our people about the world class banking procedures which is, according to my concept, a very worthy step and we should cooperate with them in this matter for our own benefit. The City Bank Ltd to manage the overall banking activities program and they will definitely progress with the modernization of business environment.